Blending product can mean two things: creating the right proportion of ingredients for a recipe or mixing those ingredients amongst themselves. It is the former context we discuss here. 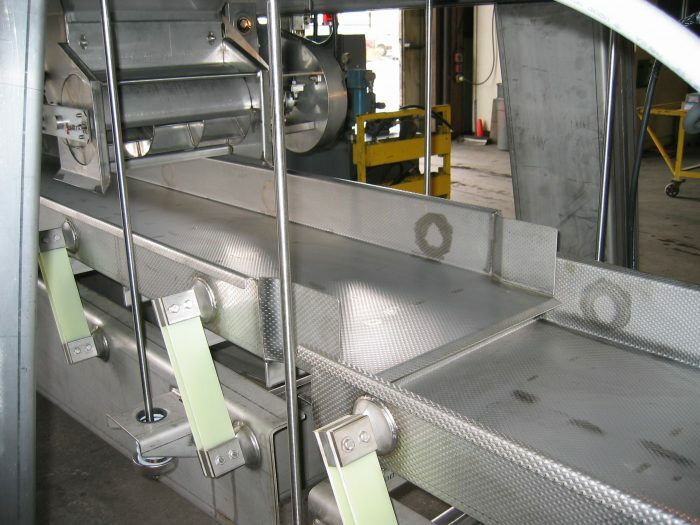 A collection conveyor gathers ingredients proportioned onto it from multiple sources and delivers those ingredients to the next stage in the process.